Discussion in 'Videocards - AMD Radeon Catalyst Drivers Section' started by garikfox, Oct 24, 2014.
where the heck is the option to enable mantle? In general or in a game? You don't "enable" it, it just works. All games seem to do this differently. Sniper Elite 3 is done through the launcher. Beyond Earth has two .exe's, one for DX11 and another for Mantle. BF4 has the option in video settings. They have removed all mention of the 5xxx and 6xxxm models from their website. Have been trying to get some old technical specs on some 6xxx devices without luck. It would be a great shame if they move them into "legacy" especially seeing as how only recently they "fixed" the biggest problems related to switching. Guys things dont stay new for ever. I expect everything AMD could do for them line up is already done. It's been 4 years and 2 days since the 6000 release, honestly it really seems like they are planning it being that close to exactly 4 years. If that's the case then maybe it's time for me to switch over to Nvidia considering I'm still able to update my "legacy" GeForce 9500 GS (2008) drivers! So 5xxx and 6xxx cards no longer have drivers? Or, move onto a superior platform (Linux) Nothing stops updates on older hardware; I think just recently there was something done for UVD on either 2xxx or 3xxx hardware for the open-source drivers. But yeah; given how old the architecture is for non-GCN hardware; I'm certain it's about as-optimized as it's going to get, for the most part anyway. Almost certain NVIDIA's the same way. Sure, their newer driver packages may support older hardware, but do you really see performance gains on such hardware? On another note, how do these drivers fair compared to the OpenCL 2.0 ones? Looks like the D3D and OGL versions on these drivers are older, along with the driver branch. Tested and I can confirm that this driver has had no effect on the Mantle stuttering in Battlefield 4. DX11 still runs smoother with framedrops in the larger maps. This framedrop is not solved by reducing settings, lowering resolution. I am glad they are aware of this issue, atm Dx11 is smoother in Civ:BE for zooming, otherwise it seems to run better. I also have an older Pavilion with the same or similar Nvidia card (9xxx GS) and it still supports updates! The devices are still supported! Although the switching tab needs modding in. We just hope that AMD doesn't drop future support. People always tell others that crap "the older GPUs are as optimized as they are gonna get"...So there is no need for new drivers for the older hardware anyway...WTF? Do you even have any clue why we constantly get new driver updates that have game specific profiles & optimizations/fixes for the latest current games? So you just leave those customers with slightly older GPUs with no new/current driver support at ALL , which would include CURRENT GAME SPECIFIC optimizations! That's BS......then you may as well at least be HONEST and put expiration date stickers on the GPUs for customers when they buy them then, so they know exactly what they're buying. 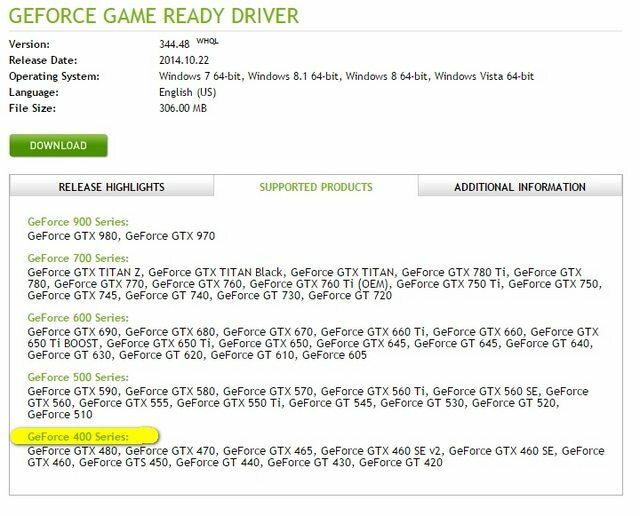 And NO....Nvidia isn't the same way.....YES ,you DO see game specific optimizations working on older hardware when installing the latest Nvidia drivers. Point being, driver support/game optimizations should last until the hardware itself is no longer capable of any kind of 3D gaming. It should be the hardware capabilities itself that determine when a GPU is no longer relevant....NOT driver support! That's called supporting ALL your customers.....not everyone upgrades GPUs as often as some of us do. 60 second run on test island so network and players wouldn't effect the run. I also tried to run through it in the same pattern, so I am not just standing still. No I do not pull 200+ fps for >90% of the time while playing on 64 man servers,lol. A couple pretty big spikes on mantle that are't present in DX11, and DX11 felt smoother to me. Even though I am above 200 fps 97% of the time with mantle (and only 66% of the time in dx11), those spikes are jarring as heck. What you cant see in the chart is the spikes in Mantle go up to 80ms so we are talking 200fps+ all the way down to 13 FPS......so that still needs fixed. It feels liek you just hit a brick wall when it happens. The DX11 spikes are to 80+ fps and they aren't really noticeable. On a positive note, if they smooth things out, it looks like I would gain ~10% performance over DX11 if it wasn't for those stutters. And you can see mantle is pretty tight except for those two big spikes, but holy smokes they are huge. NOTE-The graphs are behind spoilers because they are big pics. I am thoughtful sometimes..
there is no launcher, it just goes. i played for a good 3 hours on dx...pretty sweet..
Windows 8.1 x64 version installed on windows 10 technical preview x64 without issues. Will play some games later and report any issues. THANK YOU!! downloading it now!! Hope this driver fix BF4 stuttering as well!! lets give it a go! Mantle is not about higher GPU performance over DX, it is about much higher CPU performance. To allow systems with weaker CPUs to run strong GPUs fully utilized. What you show is just nice bonus since your CPU is not in category "Choking, Mantle please help!" They have removed all mention of the 5xxx and 6xxxm models from their website. Have been trying to get some old technical specs on some 6xxx devices without luck. Umm, what are you talking about? Just visited the AMD site, and all the links to their HD 6000 and HD 5000 series (and their specs) are there, e.g. : Products We Design > Desktop Graphics > HD 6000 Series > AMD Radeon™ HD 6970 Graphics > Specs. Oh really?! Are you sure? Like TOTALLY sure? Because your beautiful NVIDIA dropped its support of all GPUs older than a 400 series in July 2014. Their latest WHQL drivers (344.48) have no mention of 8800 GTX or GTX 260. Anyone tried crossfire in Shadow of Mordor with this driver? Here I can play some minutes just fine, then it crashes the computer.